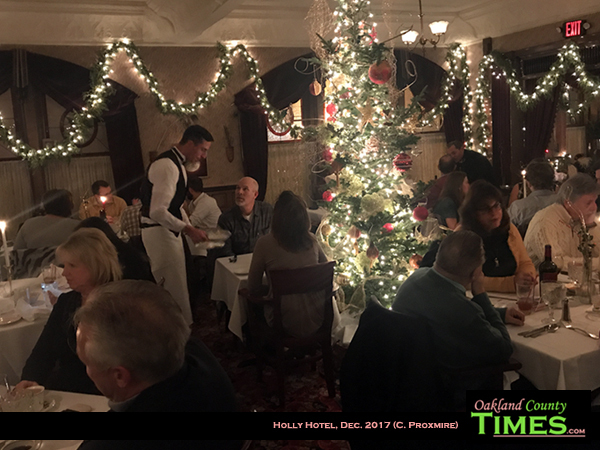 Holly, MI – The holidays are a magical time at the Holly Hotel at 110 Battle Alley in Downtown Holly. 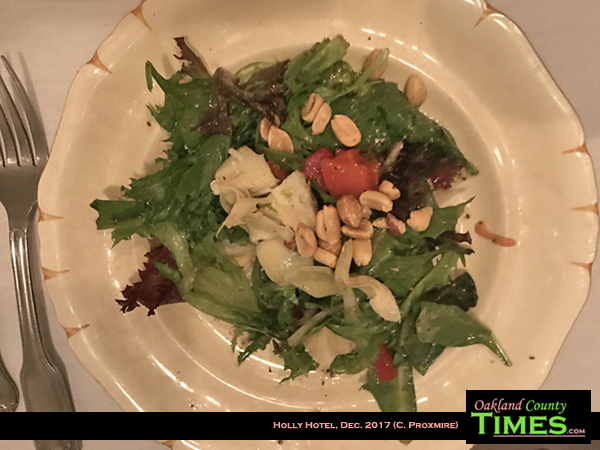 The Victorian hotel, which now serves as a restaurant and banquet center, has it’s halls and it’s dining rooms decked with Christmas cheer. 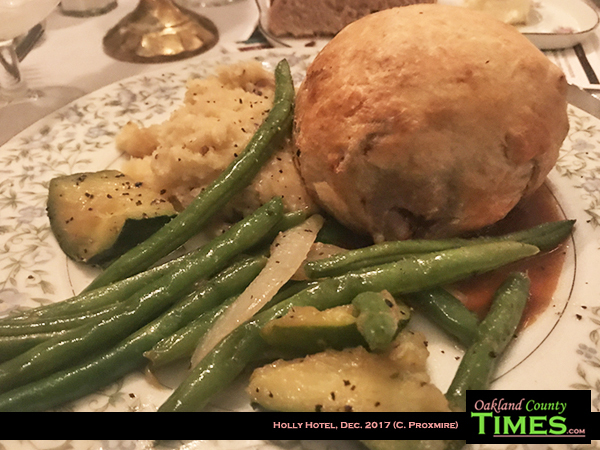 A recent dinner with a friend gave me a chance to try the Beef Wellington, which was served with zucchini, mashed Yukon potatoes, and green beans. I didn’t actually know what Beef Wellington was, so I was delighted when it arrived to see that it was steak wrapped in a golden breading. 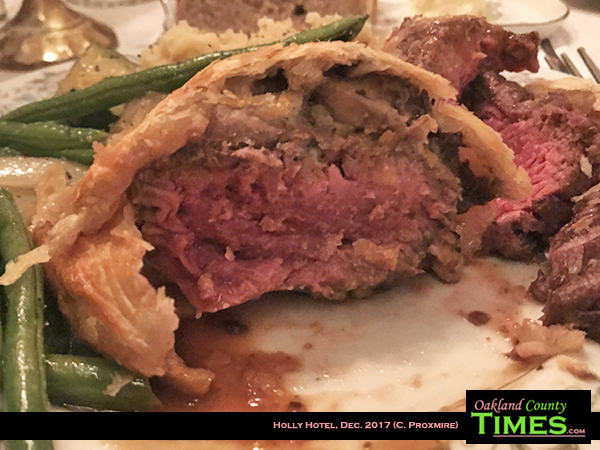 The fancy description on the menu is “Filet Mignon en croute with mushroom duxelle, Gruyere and demi glaze.” Done medium rare, the meat was absolutely perfect. 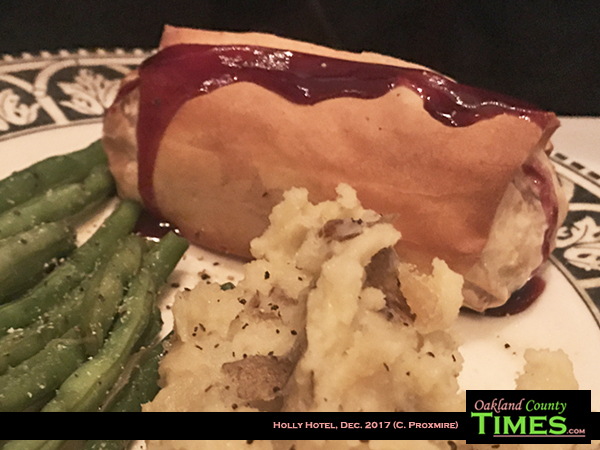 My dinner companion decided to try a Holly Hotel signature dish – the Chicken Strudel. 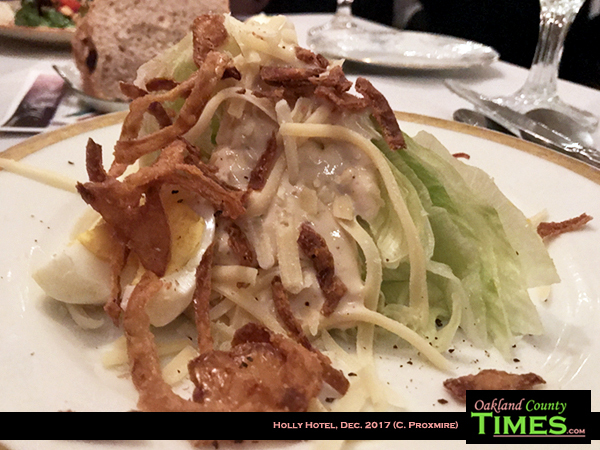 They were impressed by the creamy, filo-wrapped chicken which came with mashed Yukon potatoes and green beans. 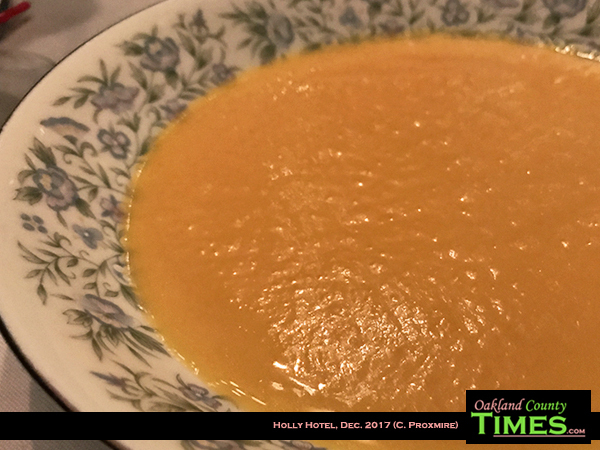 The meals came with fresh baked cinnamon bread, salads, and butternut squash soup. 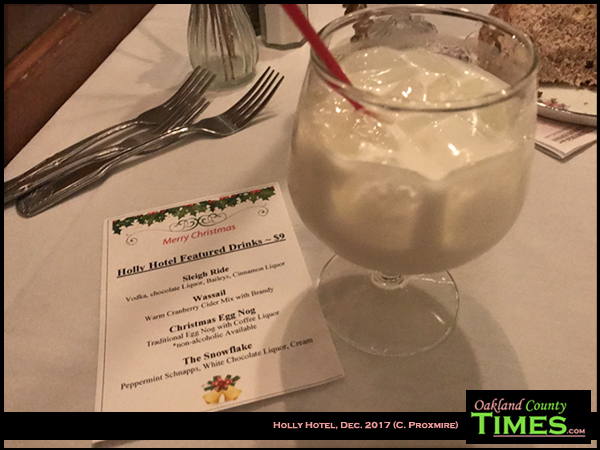 I also went for a special holiday drink called a snowflake – peppermint schnaps, white chocolate liquor and cream. 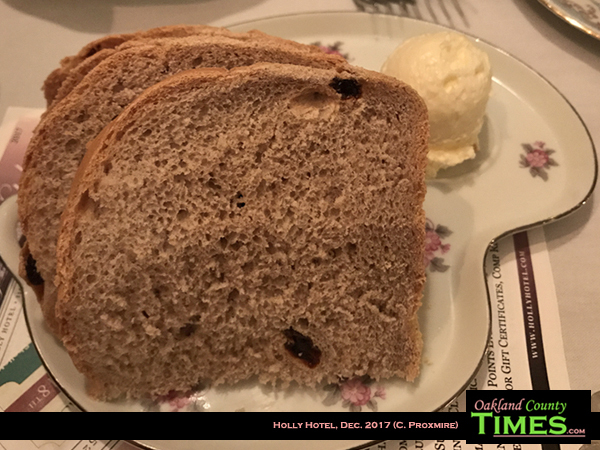 The Holly Hotel also has many special events, such as comedy club performances, Victorian Feast, Dinner with the Angels and the St. Dominic’s Girls Choir, and Cup of Christmas Cheer Luncheon. Find out more about the Holly Hotel at www.hollyhotel.com.